Ear lobes are perhaps the most ignored area of our body. It is for some reason not given enough attention. It is not that the ear lobes in everyone’s case is perfect, it is just that until recent times there was no buzz regarding any major procedure to enhance the appearance of ear lobes. So what are the issues that might lead you to an ear lobe correction? Wearing heavy earrings are one major reason that causes the ear lobe to stretch and droop. It pulls down the hole in which the earrings are put and sometimes the situations gets to an extent where the ear hole splits too. Other than this if the ear lobe is pierced in an improper position or due to trauma. This is when most of the women and men would want to go for the correction. The correction in this case is a surgery which should be done through a good plastic surgeon. There are many plastic surgeons around the world to do the ear lobe surgery with perfection. The ear lobe surgery is a simple but effective surgery and it can be done in a day and in some patients the re-piercing of the earlobe also can be done on the same day. Who are the candidates to get the ear lobe surgery done? Small flaps will be made use of sometimes to redesign the ear lobe. Generally dissolvable sutures are used, thanks to their color and small size – they are camouflaged well too. In order to allow the lobe of the ear to heal back together, the surgeon will cut off the healed skin on the inside of the torn earlobe. The fresh edges will be then sutured back together. 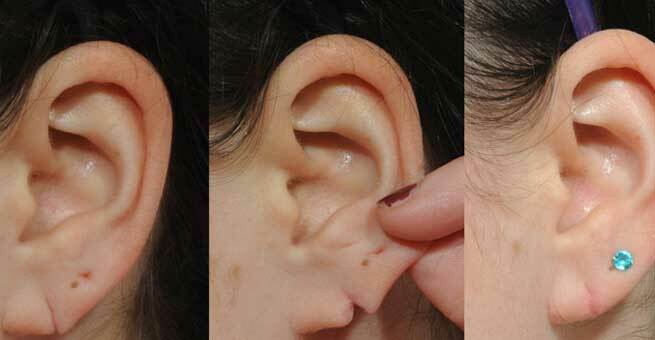 After the ear lobe surgery, it takes some time for the swelling to subside and the skin to heal completely. After about ten days the swelling will start to subside and bruising will also come down. Final result of the ear lobe surgery is not apparent immediately it takes some time but after three months you will start to notice the changes. The chances of risks involved with ear lobe surgery are less. The chances of risks are only if there is any kind of complications experienced during the surgery. As per the American Society of Plastic Surgeons, the average surgeon fee for ear lobe surgery in 2004 was $2,339. Along with anesthesiology and facility fees, the procedure will cost more than $5,000.